1. )10% off on every purchase. 2. )Reward points earned against purchase. 3. )A dedicated Customer Relations Manager to help enhance your shopping experience. 4. )Invitation to Sales, 24 hours before they are opened to the public. NOTE: Our Legacy members will be entitled to all of the benefits mentioned above exclusively in stores. HOW WILL I EARN REWARDS? 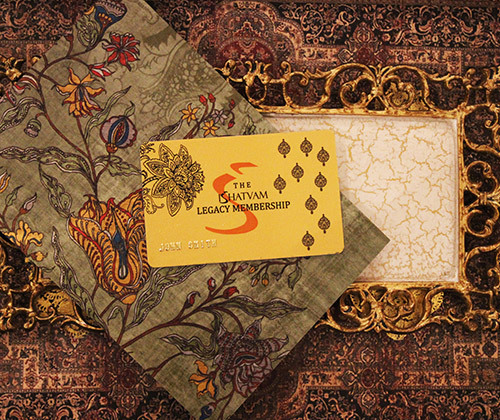 For every purchase that you make at Ishatvam you earn Legacy reward points. The reward points you earn can be redeemed against further purchases at our stores. You can start redeeming your points once you have accumulated a minimum of 500 points.